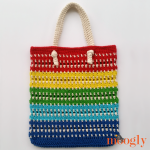 The Fair Weather Beach Tote is a fun (and practical!) 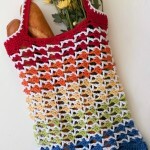 way to try new Red Heart Super Saver Fair Isle yarn – or your favorite kind of Super Saver! 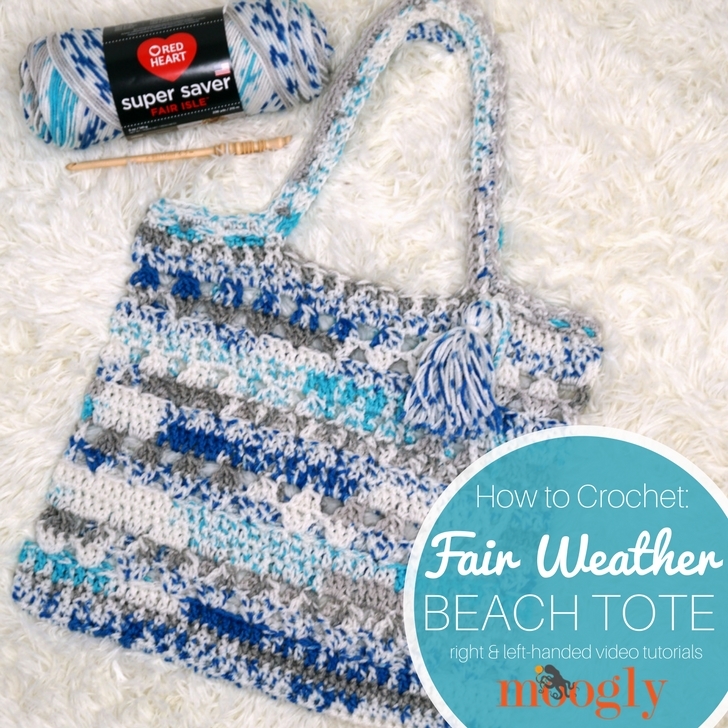 It features just a few clever moves and simple stitches – and this video tutorial will walk you through crocheting your own Fair Weather Beach Tote! 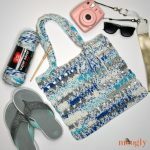 The Fair Weather Beach Tote features a simple pattern with some “negative space” to create even more interest – but if you prefer your totes without the holes, you can just work rounds of double crochet. This yarn will keep it interesting, even when the stitches are simple. The perfect pattern for a lovely day at the beach! If you’ve enjoyed this video or found it helpful, please do let me know. 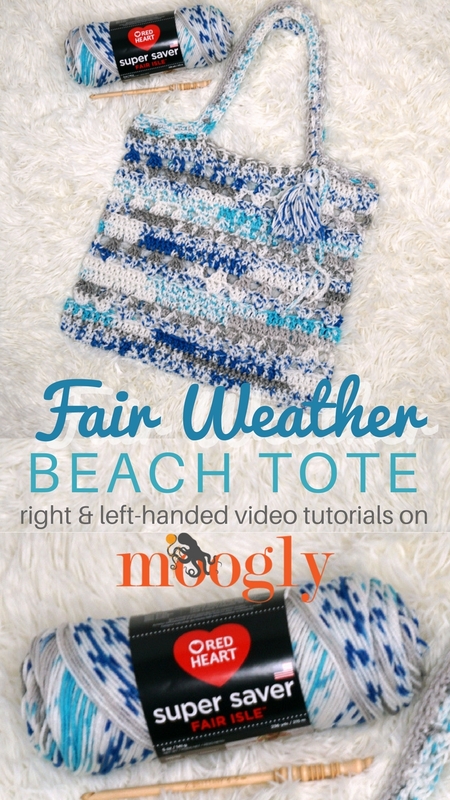 And if you make the Fair Weather Beach Tote, be sure to tag me in your photos so I can see them too, @mooglyblog or #mooglyblog! Thanks so much for reading and watching! Get Moogly on your favorite social media sites: Facebook, Twitter, G+, Pinterest, Instagram & Tumblr! And sign up for the free newsletter at the top of the page so you don’t miss a thing! Thank you to Red Heart Yarns and Brittany Needles for providing the materials for this video.